The Furniture Industry Research Association have released their first publication for 2019, entitled ‘Guide to European Biocidal Products Regulations’. The guide aims to support furniture organisations in complying with the Biocidal Products Regulation (BPR, Regulation (EU) 528/2012). The BPR concerns the placing on the market and use of biocidal products, which are used to protect humans, animals, materials or articles against harmful organisms like pests or bacteria, by the action of the active substances contained in the biocidal product. Speaking on the publication of the guide, author, Bruce Lovell, Consultant at FIRA International, said “The BPR is perhaps a less understood regulation. In essence the regulation ensures the use of biocides do not pose a risk to health, so it’s a key regulation to adhere to. “Biocides can be used across any type of furniture product, so compliance is key. It could be that wooden furniture has an insecticidal wood preservative in order to protect it from becoming infested. Leather upholstery may be treated with a fungicide to protect the leather from decay; or a mattress is treated with a biocide in order to control dust mites. These are just three examples, but they show how common biocides are. 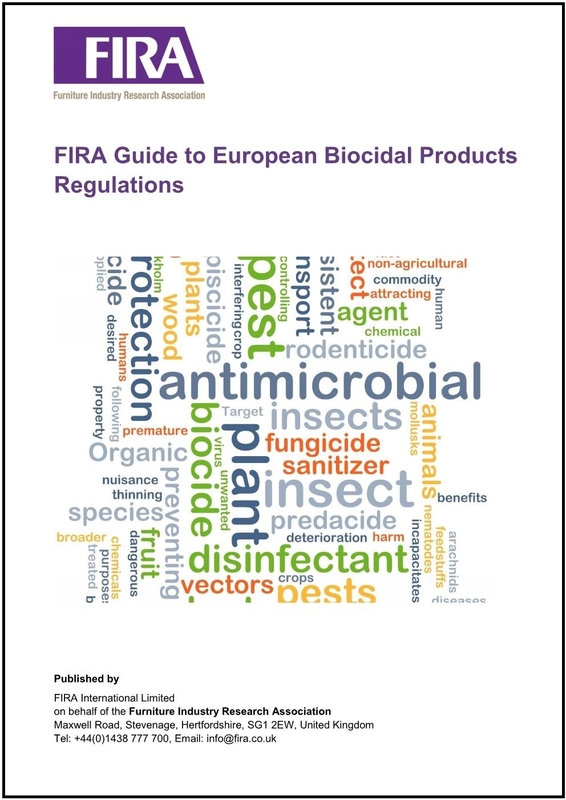 The ‘Guide to European Biocidal Products Regulations’ is available to all FIRA members here and is free as part of the membership benefits programme. Non-members of the Furniture Industry Research Association can purchase the guide for £150+VAT from here.